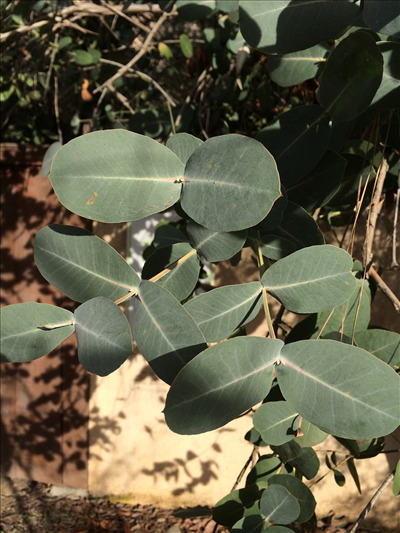 A handsome eucalyptus tree to 30' with blue foliage from Victoria. Very cold, snow, wind and drought tolerant. Attractive juvenile foliage for cut flowers. Grows fast and is grown in the eastern US as well as California.